Want to learn how to go camping for the first time with your family in tow? If so, there’s quite a lot to know – but not so much that being a happy camper becomes a pain in the neck. All of us were once beginners, and we’re pretty sure that all seasoned campers has a funny mishap or story to tell about their first few camping with their families. I know I do! Just ask me in person about the time I nearly burnt my eyebrows over a BBQ while campervanning! Many new campers usually learn from common mistakes and can learn to adapt to become a smart camper through real-life experiences and via research – same as what you’re doing right now. 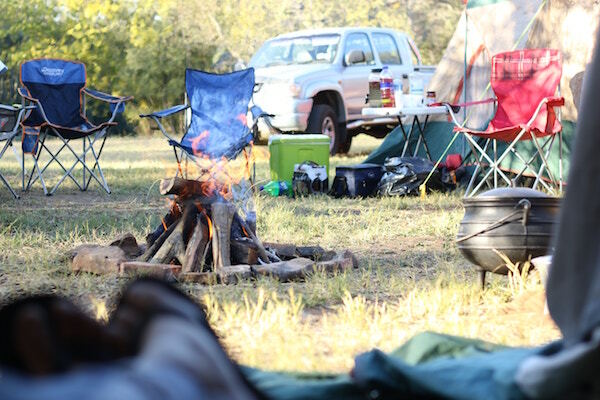 Here are some family-tested camping tips and advice that will go a long way to make your own family’s journey something you won’t dare forget. It all starts with the right camper, particularly as each of your family can be different. Carefully consider how different layouts can work with your family. Factor in their ages, your destination, how many days you’re planning to travel, etc. You need a campervan that feels like home but has all the utilities that will stand against the harsh countryside conditions. Who knows, you can find yourself bumbling through a rainforest only to find yourself in barren landscapes the next minute. You need to be familiar and comfortable with a van. Think about your destinations as well as the places on a route that can break up long stretches. Plan some downtime as driving around and sightseeing can be tiring. Who doesn’t love a cup of cocoa in exotic locations? Remember to bring sets of clothing based on the current weather/climate of your destination. Also, handy essentials include a roadmap, an electric hook up cable, a sat nav, gas/petrol, printouts of things to do or guide booklets, waterproof trousers, etc. The storage cupboards within campervans can be very useful (bags of hobnobs anyone?) but then again the joy of a road trip is to escape your stuff. The less items you take, the less time you’ll spend cleaning and getting ready to move on to your next amazing destination. Keep items like toys and gadgets to a minimum and select things with container storage and without little parts. Kids can easily find things to play with on the trip, in gift shops, forests, and beaches. Don’t forget to bring a first aid kit, a fire extinguisher, a carbon monoxide detector, and even more vital – travel insurance. Ensure that the van is adequately insured, so it’s okay to pay a little extra for a hire vehicle to lessen the excess. Even tiny scrapes can be costly and are very likely in a big vehicle. Why not make it a challenge to return from your trip without scratching the car, eh? Road trips can be a spontaneous decision, true, but it’s worth planning and booking ahead for at least a couple of weeks before the trip. Take note that the best campsites can book up very quickly. The same goes for good campervan rental websites. For your destination, DriveNow campervan rental website offer options on great East Coast of Australia locations for the entire family, simply pick a destination (don’t forget to consult the entire family) and book your rental van straightaway to secure your vehicle. You can know more here about these destinations. That covers the basics. 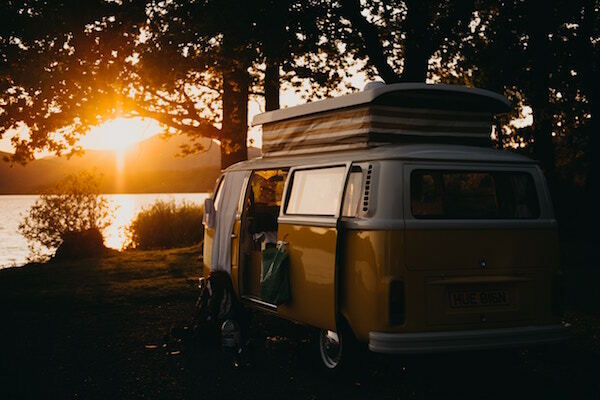 Take note that this list is only a starter, so if you need specific destination guide or an expansive take on the life a campervan living family, keep researching. Have fun on your outdoor adventure! So, tell me. Where will you be going?